President Donald Trump and his wife Melania Trump attended the memorial service of former President George H.W. Bush which took place today at the National Cathedral in Washington. 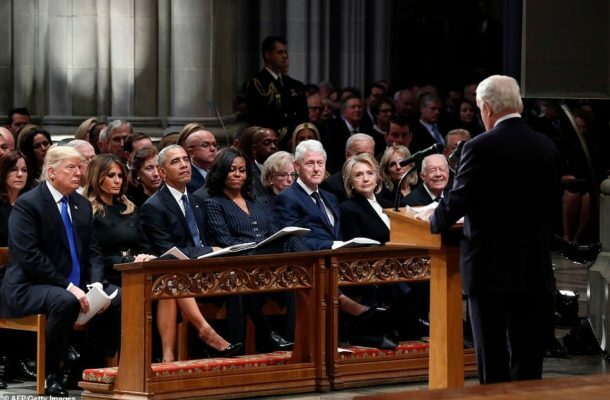 Trump and his wife were pictured in the front row next to the past presidents Barack Obama and Bill Clinton, and they were joined by their wives Michelle Obama and Hilary Clinton.